Online Flash Game Website - This was a fun project designed to learn more about web programming and use it to its full capabilities. This included designing a medium size back-end database and PHP as the programming language. From enjoying the old 8bit games from back in the 80s and 90's to seeing how things have progressed over the years in technology, graphics, design and overall final product, I decided to open a fun portal for all to enjoy. 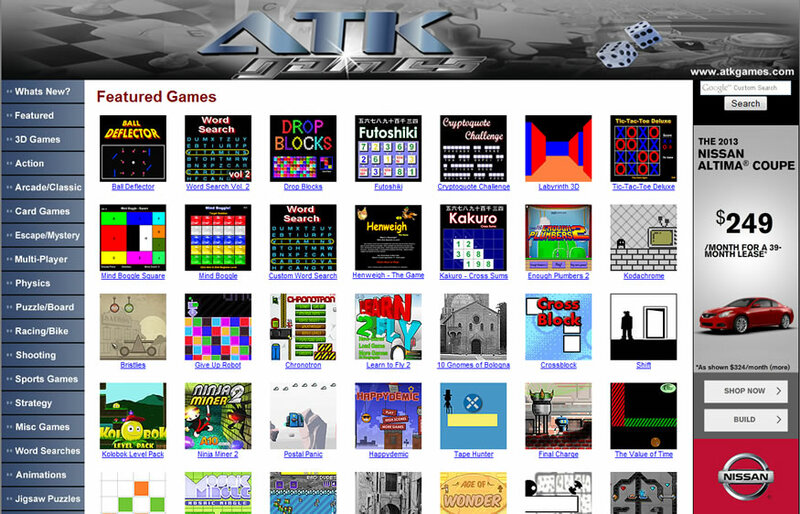 This website includes many free online games, fun word searches, puzzles and much more. If you have some time, check it out!